As a kid (and an ever-so-young adult), I love birthdays. I mean, what’s not to love about them birthdays. There is cake, there is plenty of laughter and games around, and then there is the quintessential fun behind celebrating happiness. So when Honor invited me to Goa for a splendid celebration of Honor’s third year in India, I instantly knew I’ll have to dedicate my following weekend for packing. Huawei decided to make Honor’s 3rd birthday a bit special by launching their latest offering, Honor 9i, on the occasion. Honor, Huawei’s e-brand for digital natives has had an interesting stint in Indian smartphones market so far. The new-age customers love the features upgrade their phones usually come with while being easy on the pocket. Honor 9i plans to take this love to a new height by offering the world’s first smartphone with 4-camera set-up and a full-view display. Sleek design and boasting of dual cameras, this phone has every eyeball grabbing feature you can think of in the market currently. The birthday party turned out to be a rather elaborate affair and honestly, nobody complained. The birthday party was organised in Alila Diwa while the phone launch and our stay was assigned to the great grand Taj Exotica Hotel. The birthday party was attended by around 50 noted bloggers and journalists from tech, lifestyle sector. The food was scrumptious and the calm elegance of South Goa a perfect backdrop. The following day was the launch where a series of activities were planned so we could test the new phone and its tall claims. All of us were given a sample of Honor 9i to use through a treasure hunt where we tested its video/camera quality. When it comes to pictures, I am a big fan of Honor phones, and this one didn’t disappoint either. With their 45-degrees projection, a 13 MP dual-lens front camera and a 16 MP dual lens back camera, phone photography finally gains a sophisticated status. The richness of the colours and the sharpness is bang on and the selfies are great, thanks to the bokeh effect. The battery may not be the best out there in the market but you will have little to complain with this 3340 mAh battery. The display is a dazzling 5.9” and the Android 7-based EMUI 5.1 enriches the user experience by learning and predicting user behaviour. The phone I received was Midnight black but it’s also available in Platinum Gold and Navy Blue colours. 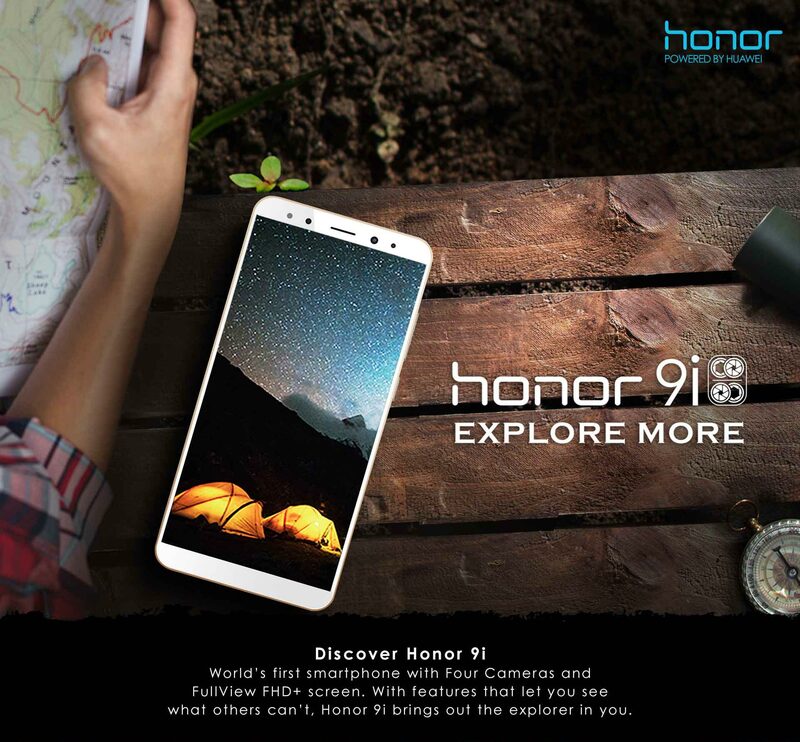 Last I checked, Honor 9i is exclusively available on Flipkart for the price of Rs. 17,999 ( 4 x64 RAM /ROM). In addition, Honor also launched a complementing accessory – a 10,000 mAh Quick Charge Power Bank. Sleek and impressive, this one is priced at INR 2399 in the market. Overall, in the category of smartphones where you have a new competitor every month, Honor makes a tall, impressive claim and lives up to it too. Now that’s quite a way to celebrate birthdays, don’t you think? Previous A Wedding Photographer’s Candid Tale: 10 Tips for couples for their best wedding album!